I received an email from a regular visitor to PizGloria.com today. 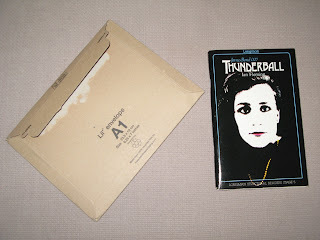 As part of the email John F also attached an image of a book cover he noticed was missing from the website - a different cover of Longman's ESL "Thunderball". I'm not unfamiliar with this strange cover. I've seen it on the web for years, but the only other Bond collector's site I've seen it displayed was Thunderball Obsessional. I've been looking for a copy, in good condition, for ages without luck. That was until about two weeks ago. The strange coincidence is that today when I received the email from John F with the attached cover image, I also recieved a copy of the same book in the post. I think that's pretty freaky. 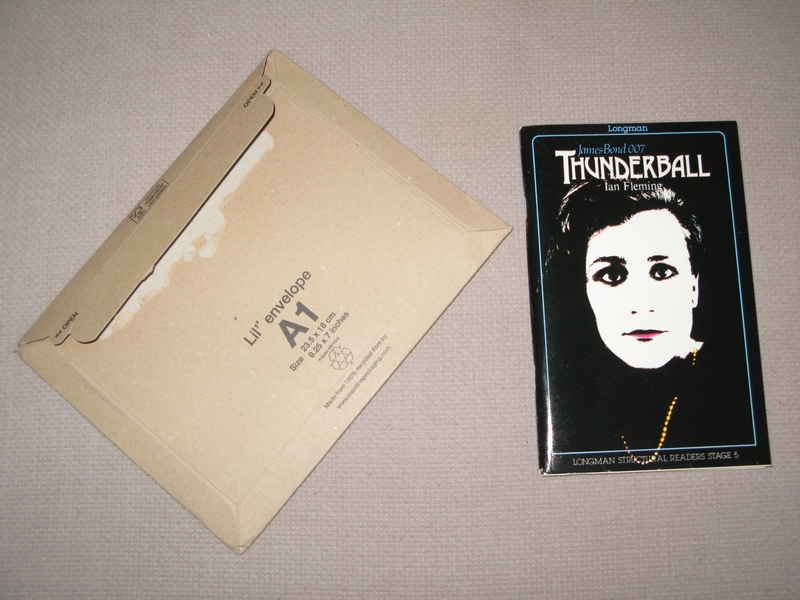 About two weeks ago I found a copy of this Longman's "Thunderball" for sale, and although there was no image shown on the website when I purchased it, I was hopeful it was the black cover. Luckily it was. Once scanned this will become book number 551 on the website. And thanks John F.